Back in July, we featured a post on how PDFs can make documents more secure. There we shared basics about how the Portable Document Format enhances document security so that users can securely store data and view it, as well as some best practices for keeping data safe with PDFs. Let’s expand the discussion now to drill down into exactly why PDF files are used for legal documents. We’ll also share some tips and resources on PDF signatures, including how you can use the WPS Office for Android app features to generate this secure form of signing documents. Sometimes you want secure files, but other times you absolutely need them. In the case of documentation used in a court of law, many file formats are inadmissible in a legal setting since they are so easy to alter with no visible electronic footprint. Documents created in Word (.DOC extensions), for example, are designed for text editing, and someone can easily alter them without leaving an electronic footprint. Same goes for TIFF, JPEG, and GIF file formats. In order to use these formats in court, you’d need to first copy them to a DVD or CD-R, since optical media can’t be changed and are thus legally admissible in court. In order to avoid the extra legwork of copying files over to optical media at the time of scanning, you can instead use a PDF file. Since PDFs are “read only” documents, if anyone tries to modify them, an electronic footprint will remain. Therefore, PDF files successfully meet all requirements for legal documents in a court of law. Password protection. When you use a PDF file, it’s possible to include user-password security for the document. When you add a user password to your PDF, you can email the PDF to different devices and locations without worrying about unauthorized usage or viewing. Cross-platform compatibility. Whether you need to send a file over a network, intranet, or Internet, the PDF’s design allows you to share information across multiple platforms. A PDF document is easily transferable because it exists independently of the OS, hardware, and application software that created it. Used by the federal courts. If it’s good enough for the U.S. Federal Courts to use, that says a lot. Adobe originally developed the PDF specifically so that the U.S. Federal Government could securely store its legacy files. The government still relies on PDFs for many purposes (and is in fact the largest user of PDF technology), and additionally, the U.S. Federal Courts also adopted PDFs as their electronic document format of choice. PDFs also allow you to sign documents electronically. This can be a huge time saver over the alternative long-form method of printing the document, signing the hard copy, scanning it, and then emailing it back (or sending the hard copy back via mail). Electronic signatures can be quickly added to a PDF document—the signature is saved as a standard PDF that anyone can read but cannot alter. An electronic signature looks like a traditional pen signature, but you can apply it electronically without having to print or scan. There are both state and federal laws that govern the validity of E-signatures, including the Electronic Signatures in Global and National Commerce Act (ESIGN) and the Uniform Electronic Transactions Act (UETA). In terms of state law, 47 states have adopted UETA into laws that allow E-signatures to be used in private and government contracts. 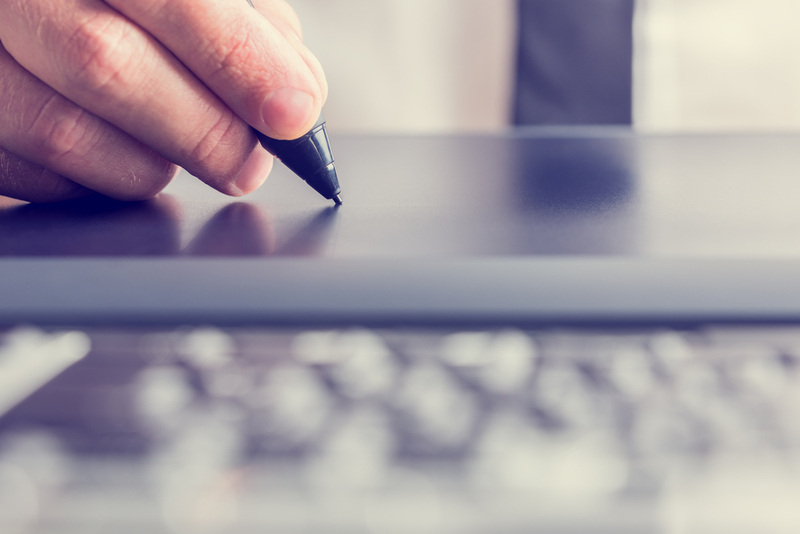 There are some limitations to the validity of electronic signatures, so be sure to check the current law in the state in which you are residing. One easy way to get started with using electronic signatures is to check out the PDF Signature feature in the WPS Office for Android app. Since WPS Office is compatible with almost any document type including PDFs, it’s easy to create an electronic signature that provides a natural, realistic signature effect. If you open your PDF document, you’ll be prompted to “Open Sign Pane” if the app detects a signature field to fill in, but otherwise you can click on the Sign button just below the menu bar on the right side of the screen. If you want to use a real signature, you’ll need to select the “Place Signature” option in the dropdown menu in the Sign section. From there, you’ll be given options of ways that you can either add an automatically generated signature or create a signature based on your actual signature. Whichever you choose, the signature can then be inserted neatly into your documents. Remember—while the PDF file format itself meets legal document requirements, the validity of electronic signatures will vary based on existing laws, depending on what the signature is being used for. If in doubt, be sure to confirm each situation on a case-by-case basis.